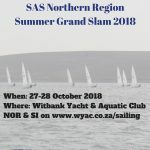 SAS NR Summer Grand Slam at WYAC Inc Instruman Dinghy Open | SAS NR Summer Grand Slam at WYAC Inc Instruman Dinghy Open – W.Y.A.C. 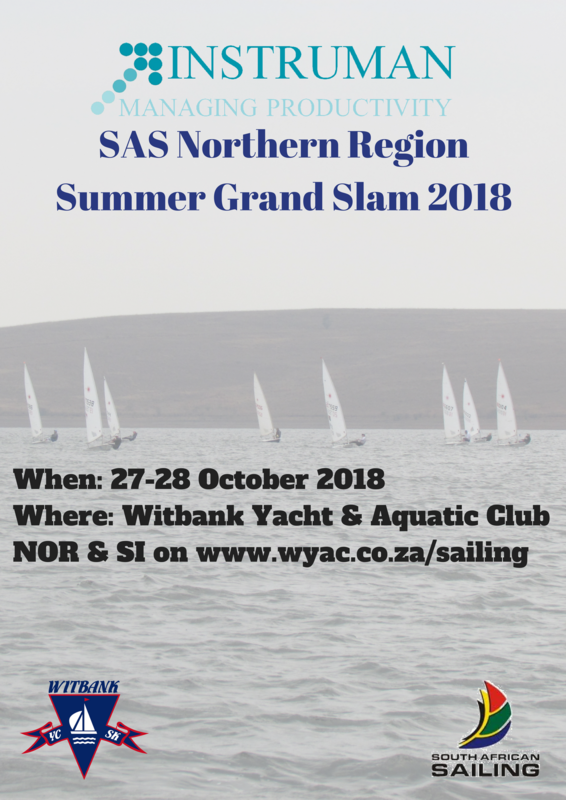 The SAS – NR Summer Grand Slam, Incorporating Instruman’s Mpumalanga Dinghy Open Provincial Champs will be sailed on Saturday the 27th & Sunday the 28th of October 2018. Skippers briefing at 9h00 with the 1st race scheduled for starting at 10h00. There will be a bring and braai at 17h00 (Pap & Sous & salad provided) with a happy hour and the odd fine or 2 handed out. First race starts at 09h00 . Prize giving will as soon as possible after the last race, but no later than 60 minutes after the last race.